HomeResourcesStop Daydreaming. Set Goals for Achieving Your Dreams. It’s never too early or too late to create a picture of what you want in your life. Dreaming big and imagining all the possibilities open to you is a fabulous start to shaping your life and planning your future. For many, the dreams seem clear, but achieving them remains elusive. If this describes your situation, then get moving in the right direction and make an investment that can ensure your dreams are actually realized. Specific goals create a stimulus for making changes that are doable. Goal setting is a process that requires commitment, thought, continual assessment and perhaps most importantly, flexibility. 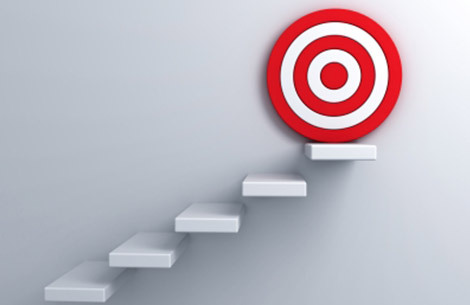 When a specific goal for improvement or accomplishment is set, there is a target to work toward. Gone are the intangible, vague notions like “better,” “improved” and “someday.” Specific goals create a stimulus for making changes that are doable and allow your progress to be measured. By setting your sights ahead and measuring even the smallest change, you can see progress. You are able to see definitive changes instead of missing any signs of improvement because they may be too subtle to see. Step by step, you can slowly see yourself moving forward, and the impossible starts to become achievable. When you are clear about your goals, then you can create measurable objectives and outline the actionable steps required to achieve them. Committing to do a specific action at a specific time allows you to track what you accomplish. Another benefit of mapping this progress is to be able to catch distractions or wrong assumptions early and change course before too much time is lost. Being flexible about what you may need to do, vs what you were previously unwilling to do, will also help you continue forward. Based on new information learned along the way, you may find that your original assumptions were inaccurate. Ultimately, flexibility and willingness to change elements of your original goal in response to this information may be the key to your success. Recording all you learn and applying measurements to your progress will allow you to assess any changes more carefully to ensure you are not drifting too far from your vision. If you have not yet taken a controlled approach to pursuing your dreams, it might be time to examine why. Are you unclear about where to start? Is it possible that an inability or unwillingness to commit has been a roadblock to actualizing your dreams? A coach, mentor or therapist may be able to help. It’s not uncommon for many people to dread or avoid commitments. Their fear of falling short prevents them from making decisions or committing to action. The sad reality is that instead of limiting or omitting failure, they are simply staying stuck exactly where they are, replaying the same failures over and over and over. By not attempting, they have condemned themselves to an unending choice to stay the same. When thinking it through from beginning to end, the fear itself may be bigger than any real negative outcomes that could occur. Even if the result is failing to achieve your vision, by having set a specific goal with measurable steps, you are able to look back and see more precisely what should have been done differently, when it should have happened and what you can change going forward. Even a failure is a win. If the worst-case scenario is failing to hit the mark, but you end up wiser, then why not get started with a plan that is more likely to get you where you want to be than staying where you are? What’s in the way of your setting goals as you move toward a new year?